The under-construction casino resort project being developed by SJM Holdings Ltd in Macau’s Cotai district, Grand Lisboa Palace (pictured), was not damaged by Typhoon Mangkhut that struck the city over the weekend, said its promoter. The powerful storm – classified as category 10 – resulted in a government-ordered blanket closure of the city’s gaming operations, understood to be the first time in the modern era of public gaming concessions that the city’s casinos had been told to close for a period of time. Casino operations had been paused at 11pm on Saturday, according to a government release that day. The city’s gaming venues were allowed to resume operations on Monday at 8am, after the typhoon category was lowered to Signal No. 3. “In respect of Grand Lisboa Palace under construction, the building and its fittings were left undamaged by the typhoon, thus the structure remains safe and intact,” a representative of SJM Holdings told GGRAsia in a Monday emailed statement. “Works on the site [of Grand Lisboa Palace] have resumed after the typhoon, with a focus on ensuring a safe environment for our workers,” the firm added. The Hong Kong-listed firm mentioned in its interim results released in July that it was “striving” to complete the construction of the HKD36-billion (US$4.59-billion) Cotai project “by the end of 2018 and to seek the relevant licences to begin operation as soon as possible thereafter”. The opening of Grand Lisboa Palace is due by the second half of 2019, according to the company’s interim results. 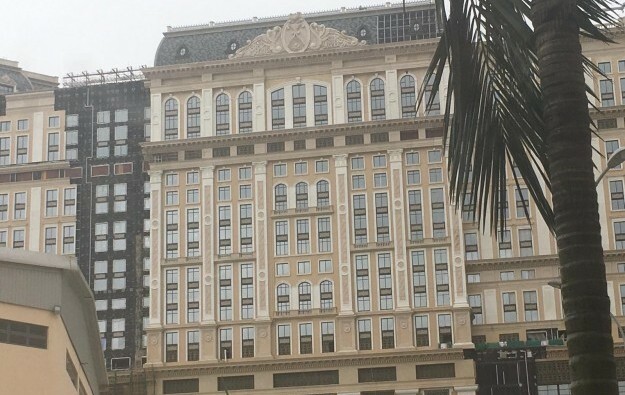 There are three hotel towers for the Grand Lisboa Palace resort scheme under the respective brandings “Grand Lisboa Palace”, “Palazzo Versace” and “Karl Lagerfeld”, according to the firm’s previous statements. Macau’s main casino properties were all back to business as of Monday morning, following the passage of Typhoon Mangkhut. SJM Holdings confirmed in its Monday statement that its gaming venues at the firm’s flagship property Grand Lisboa and the adjacent Hotel Lisboa, both located in downtown peninsula, were back to business on Monday morning. In an Tuesday email reply to GGRAsia, Macau’s gaming regulator, the Gaming Inspection and Coordination Bureau, noted that Casino Macau Jockey Club in Taipa and Mocha slot parlour in the Inner Harbour district on the peninsula were “still closed due to Typhoon Mangkhut”. Meanwhile, Casino Taipa, located at the Regency Art Hotel in Taipa, “is expected to resume operations later” on Tuesday, the bureau added. 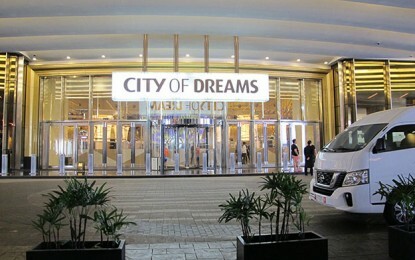 Casino Taipa is described by SJM Holdings as a “self-promoted” casino; while Casino Macau Jockey Club, located inside Macau Roosevelt Hotel, is a satellite casino run under SJM Holdings’ gaming rights. Both gaming venues have faced suspension “due to power outage caused by the flooding”, SJM Holdings told GGRAsia in its Monday statement. As at June 30, SJM Holdings operated 20 casinos, comprising “more than 1,600 gaming tables”, according to the firm’s interim results filing. Of the 20 casinos, a total of 16 properties are known as satellite casinos – managed by third-party companies – that are mostly located on the Macau peninsula.